October is known for many things: falling leaves, cooler nights, and Halloween costumes. But in the culinary world it means one thing and one thing only: National Pizza Month! We are a pizza AND olives loving family, matter of fact, you can always count on finding homemade pizza and some kind of olive as a topping. 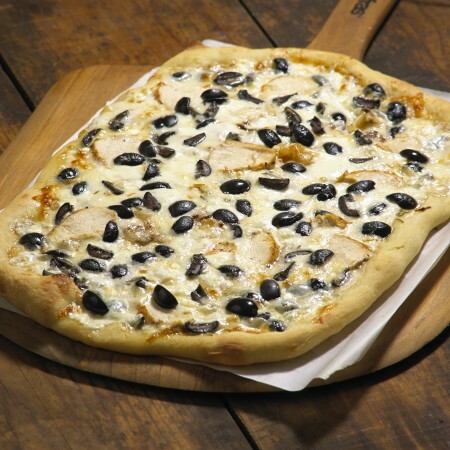 I do have a certain affinity for black olives though, especially on pizza. In 1769, the first olive cuttings were planted in California at the San Diego Mission. As most transplants do, they responded quite well to the California climate-sunny days, cool nights, fresh air-and they set their roots. You can find out more about California Ripe Olives by visiting CalOlives.org or by following @MissCAOlive on Twitter, or Facebook. 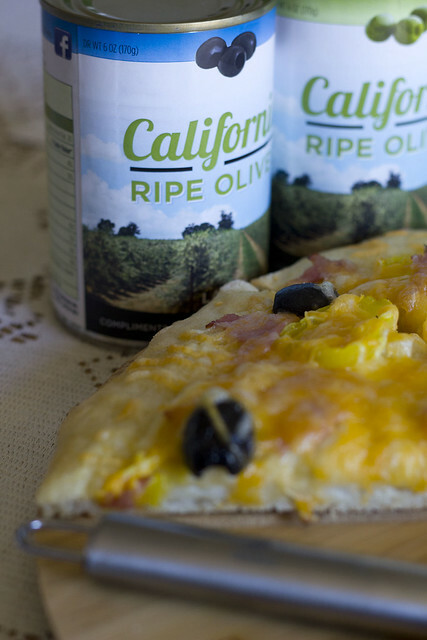 The wonderful folks at California Olives sent me a kit to try out some of their olives and even included a recipe for a Black and White Pizza which I think is delicious. In a skillet, heat the 1Tbsp olive oil over medium heat. Add onion, garlic, and mushrooms and cook until onions are soft (about 10 minutes). Set aside. Roll pizza dough into a very thin oval.Transfer to parchment lined baking sheet and light brush with olive oil. Then top crust with Alfredo sauce followed by mushroom mixture, cheese, chicken, and rosemary. Sprinkle with olives. Bake at 450 degrees for 10 to 15 minutes until cheese is melted and crust is brown around the edges. Serve with Parmigiano-Reggiano. Serves 4. I did make another one using butter and garlic as a base, instead of pizza sauce. 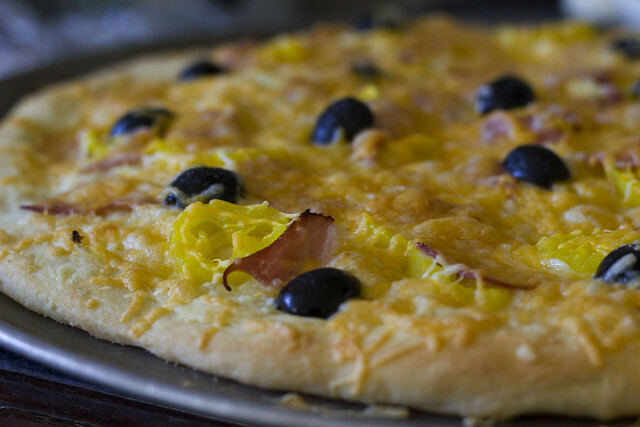 I added smoked ham, banana bell peppers, California ripe black olives, onion and cheese....it was YUMMY! 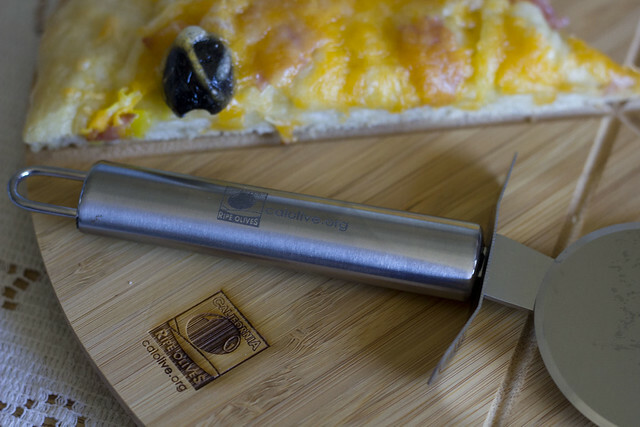 Thank you to the folks at California Ripe Olives for providing me with a kit for this review.